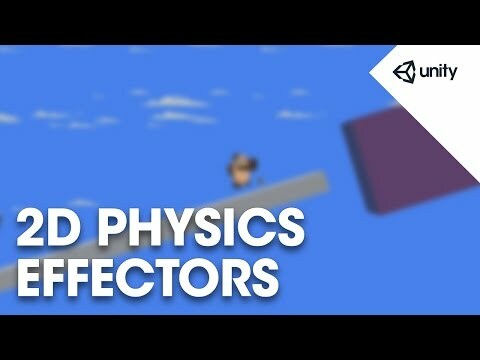 In this live training session we're going to show you how to use 2D Physics Effectors to create areas of your scene which can add physics forces to objects or change their physics behavior. The Effectors we'll look at include Platform Effector 2D, Surface Effector 2D, Area Effector 2D and Point Effector 2D. We'll do this in the context of a platformer style game.